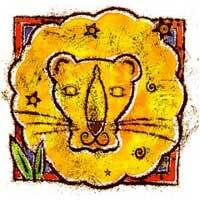 Leo influences aspects of work, services, health, animals. The Sun combines with Neptune to turn ideas into reality. Sun brings a ray of hope to your wishes. Leo will take care of you, he will remind you to take care of your own health and work issues. He will help you in business. 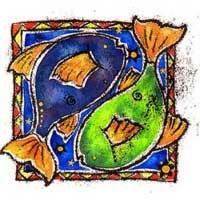 Leo appreciates the brilliance that characterizes Pisces. Your mysterious air will delight him, and you see an intelligent individual in Leo, charming, sexually attractive, a real support for your projects. A Leo can also distract you. You have so many expectations in this relationship, that it is likely to be an emotional ordeal. Try hard to impress him. Leo will put you on a pedestal, and he has the impression that you won't get tired; unwillingly he will exhaust you and will drain you of your power. Generally, a relationship is interesting, even fascinating, but not perfect. You need experience, which is accumulated in time for long-term success.